All you need is a ball of yarn and a hook! I’ve been playing around with a few odd balls of scrap yarn. Some were so small they really qualified as ‘lengths’ rather than ‘balls’. However, the object was to make a circle in a squaare – as easily as possible! Twelve UK trebles into a magic circle to start. The second round is just two UK trebles into each gap between those of the previous round. 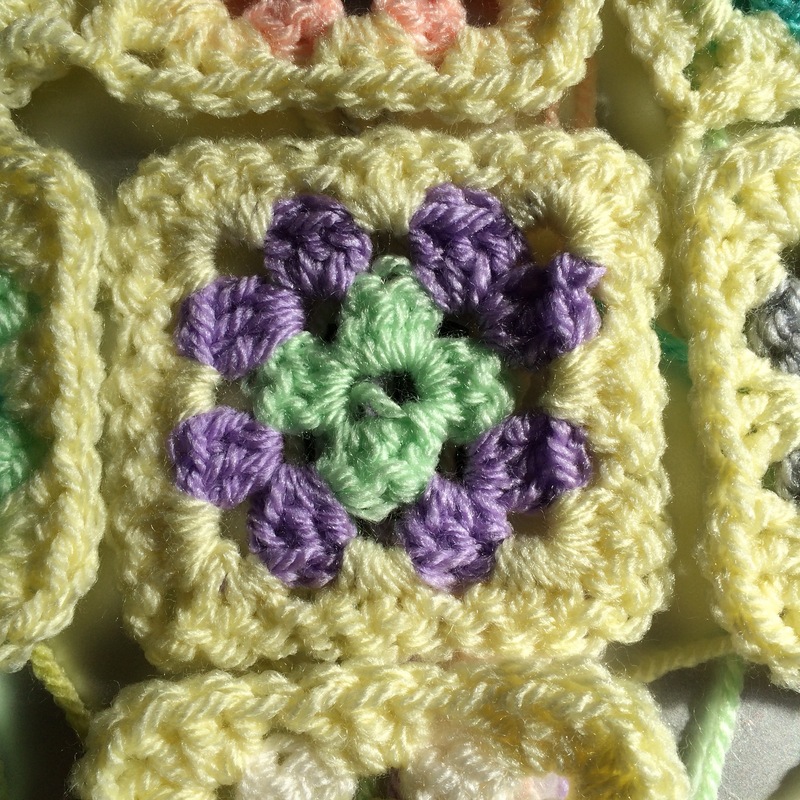 Round three begins the conversion into a Granny Square, counting in threes, which can hopefully be seen in the above picture. After this round it looks a little wonky. Don’t worry, it sorts itself. 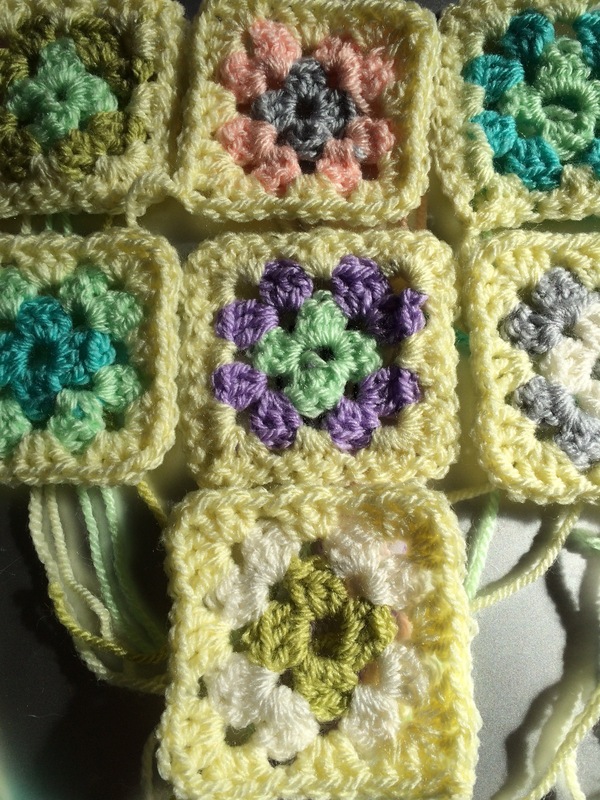 Another round of treble blocks and the Granny Square is complete. Now, it really does look wonky, but…. 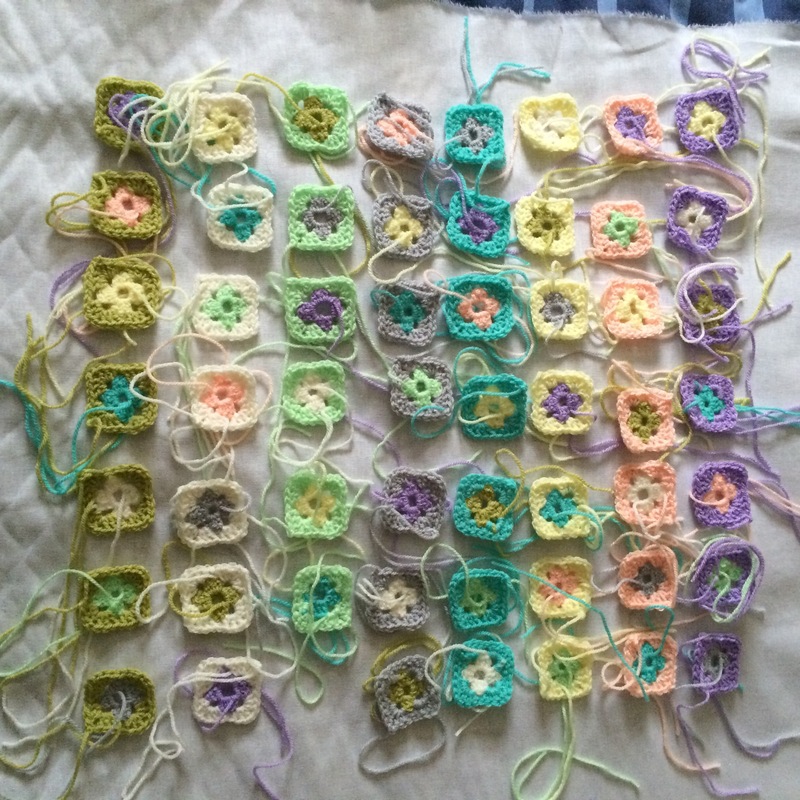 Just a gentle pull from left to right – and another from top to bottom and…..
I’m calling it the Posy Square. I love colour. I have dyed a range of fibres and fabrics for over 30 years and during that time have learnt a lot about colour. Vibrant, mid to dark tones are my favourite and often the combinations I choose. Many years ago a very wise old lady encouraged me to move out of my comfort zone from time to time and this has often been such a blessing and eye opener! All those ends really don’t bother me. I enjoy weaving them in. Yes, I know I’m weird but I find it truly relaxing and meditative. So. Which is the colour I really dislike? It’s that mid tone ‘purple’. Combined with pinks and blues it’s bearable but boring. 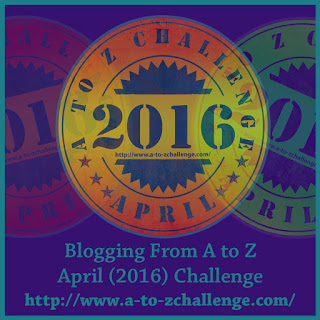 On its own …. One day I’ll tell you the story of why I dislike this technique so much. In the meantime working in ‘difficult’ colours in a technique that is ‘alien’ is good for the soul! (Or something). Spring is here. Early spring, that is. In a few short weeks the apple blossom will be flowering in abundance – it’s one of my favourite times of the year. No blossom on the trees and bushes at the moment, though. But I do have flowers in the house! Flowers are a useful source of colour inspiration. 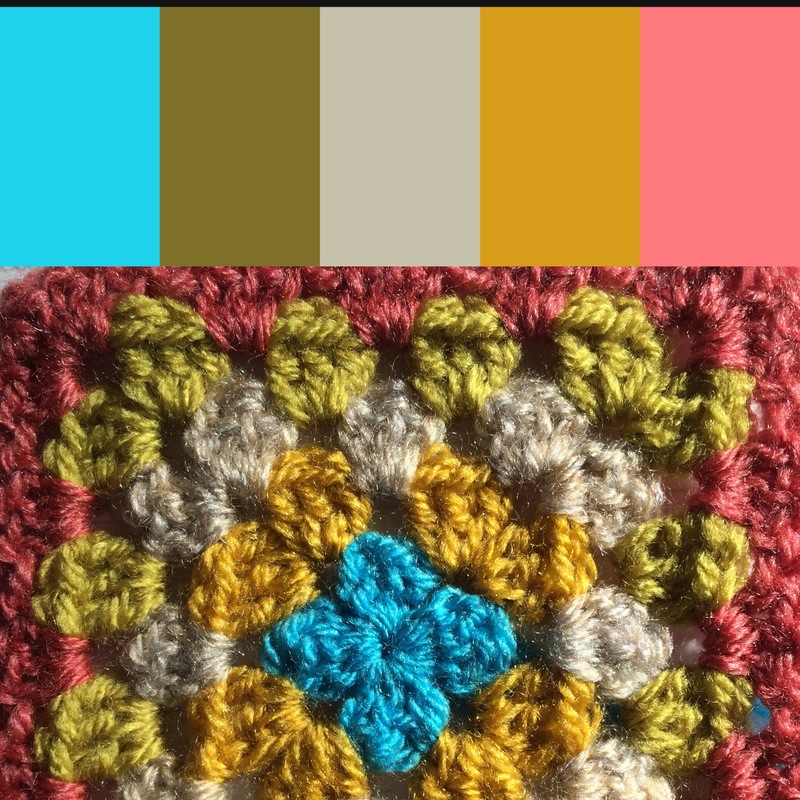 A post for National Crochet Month – find all posts in this series via this link.